Lady’s Toot Toot has an excellent pedigree with Boss Man’s Black Diamond M. on the top (bloodline of Zane Grey) and Bo’s Leading Lady on the bottom (bloodline of Missouri Traveler E.). She is brown papered. 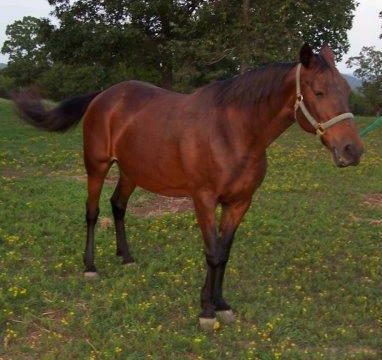 This seventeen-year-old bay mare has with a good disposition and, natural gait and correct conformation. Toot is for sale. If you want a mare anyone can ride, this mare is for you. $1,500.00.